Every once in a while, we, like many other providers, go offline. Sometimes, it’s on purpose, like when we add new features and rebuild the site. 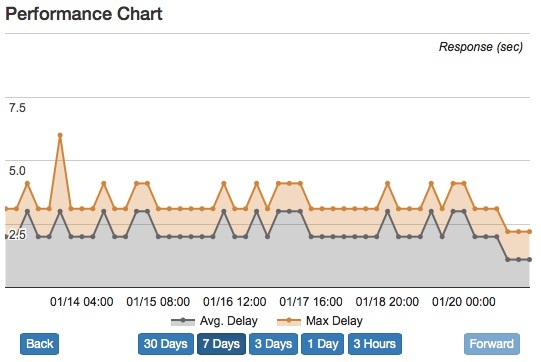 Sometimes, it’s completely accidental, like when our datacenter has an outage*. And, you’ve been patient with us when it happens even though we’ve given you little information, typically via Twitter. Any product related issues will be flagged so that you can keep informed on the topic. Even with this new tool, we will continue to update our followers on twitter. We just want you to have as much information as possible. *On that topic, we’re working to limit the impact of datacenter outages in the future by moving more of our tools to the cloud. This entry was posted in Uncategorized on May 27, 2016 by MxToolbox Blog. Here at MxToolbox, we’re big fans of good graphs and charts that provide insights, show trends and give you decision-making information. And, it always helps if they look good. This entry was posted in Uncategorized on May 16, 2016 by MxToolbox Blog. If you are currently monitoring a large volume of IP addresses or hostnames for your organization or on behalf of your clients, one of the most important requirements is the ability to quickly group and identify related monitors. For that reason, we added the ability to create tags a few years back as a way to easily identify groups of related monitors. For example: if you needed to monitor blacklists for multiple clients, you can easily create a tag for each individual client and assign that specific tag to the monitors related to that client. As there is a growing need quickly identify groups of related monitors, MxToolbox recently added the ability to specify a color for your tags. Now, you can make it easy to visually identify groups of related monitors. After creating a tag you can assign it one of eight color types by selecting the color palette square next to your existing tags. 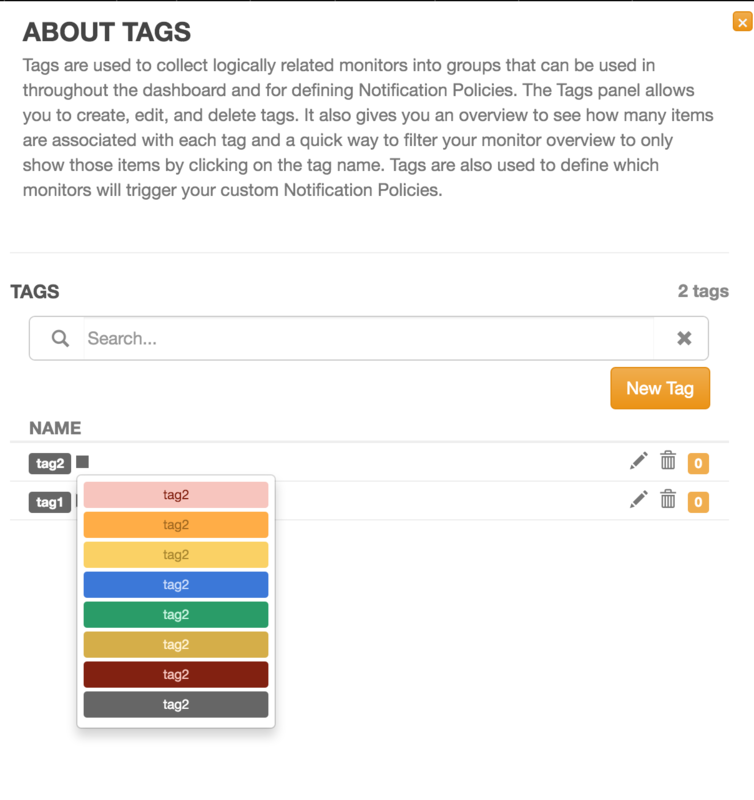 To start adding color to your tags simply login to your account and visit the Tag Manager by selecting Tags from the black navigation menu. Tags are available to all monitoring accounts starting at our MxWatch Basic Plan and above. 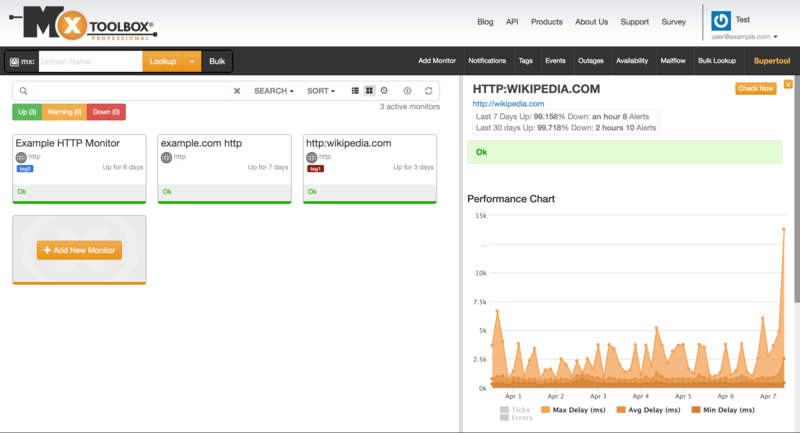 We hope that tags, and now colored tags, will make it easier for you to do your day-to-day tasks with MxToolbox. This entry was posted in Uncategorized on May 9, 2016 by MxToolbox Blog. 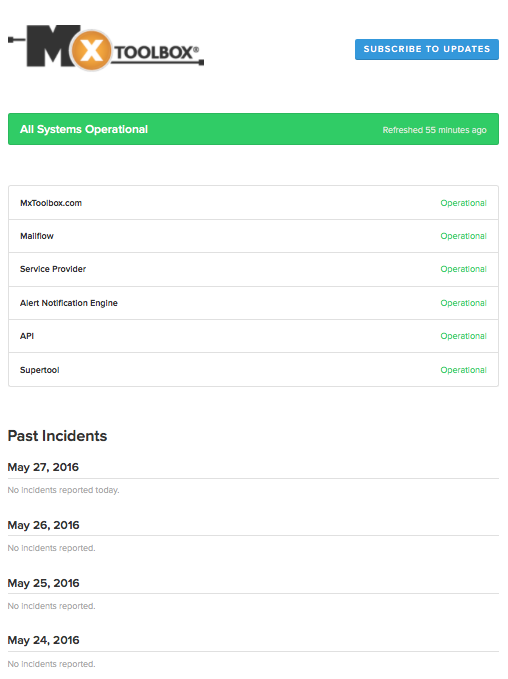 Uptime Reporting for Web, DNS, and other critical services give you Summary Uptime and Downtime reporting to protect on each monitor. Simply select the monitor to see how we protect your business and customer satisfaction. Uptime monitoring tracks performance over time in order to compare how your server is performing today vs last month or last week. 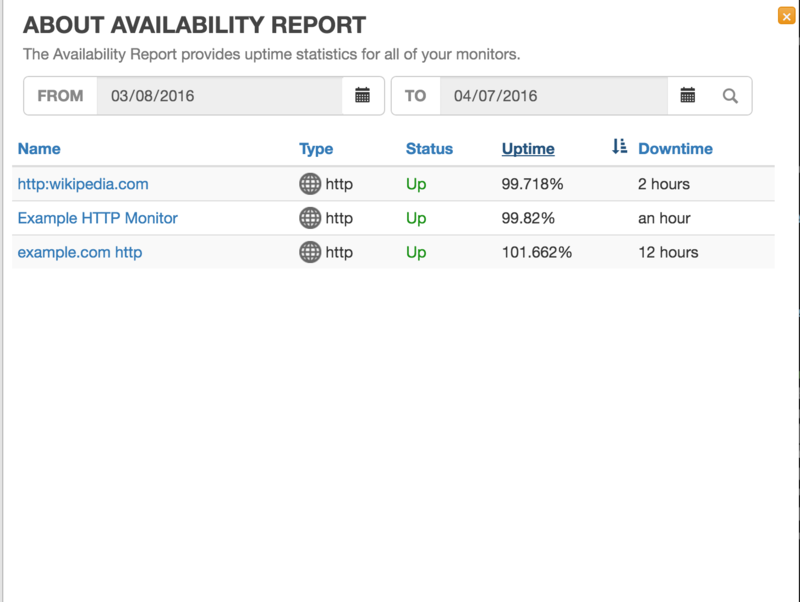 Our Availability Report allows you to view the Uptime %, Downtime, and displays the current status for all your monitors. The Availability Report allows you to specify the date range so you can recall historical Uptime/Downtime statistics and issues. This is particularly valuable when you want to show upper management how well things have been running over the past quarter or year or justify additional expenditures for servers. In addition, you can access specific monitors directly from the Availability Report to checkout current status and specific issues. 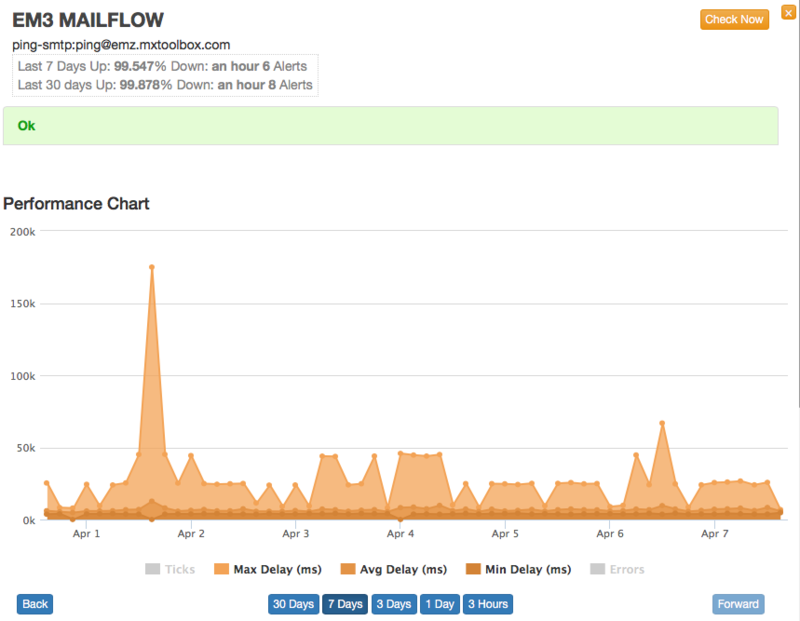 With our new Availability and Uptime Reporting, MxToolbox Monitoring gives you even more insight into how your servers, and business, are running. This entry was posted in Uncategorized on May 2, 2016 by MxToolbox Blog.